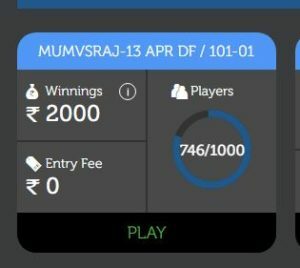 LivePools Fantasy Cricket App – Hi Guys, Hope You Guys Are Enjoying Our Free Recharge Giving Apps & Free PayTM Cash Giving Apps. Recently We Have Published Some Of The Best Fantasy Cricket Apps To Earn Huge Money This IPL. Today , I Will Add Another Fantasy Sports App Into That List. The Fantasy Site Named “Livepools Fantasy Sports” is Offering Free Entries For Some Of High Paying Leagues. With Free Entry & Good Cricketing Knowledge , You Can Win Huge & Hefty Money From This Site. Site is Genuine & Giving Real Cash Directly Into Bank Account. 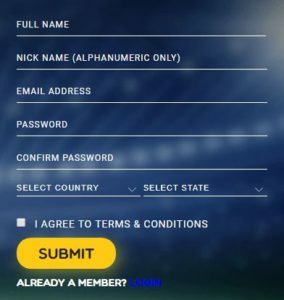 Why To Play Livepools Fantasy ? Want To Earn More ? You can create upto 3 teams per match, join multiple pools daily and win cash prizes. You will have a budget of 100 credits to choose your players from. Your team should contain exactly 11 players. You will be allowed to select a maximum of seven players per team. You will be asked to select a Captain, if not selected manually from the player pop-up. You must be part of a pool to win prizes for the team(s) you have created. You can make unlimited changes to your team, once created. You can also change your Captain. Team management and creation will be locked 15 minutes before the scheduled start of each match. Post the lock, you will not be able to make any changes to your team(s).